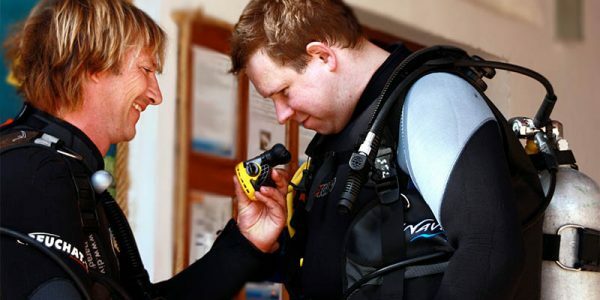 You already have a three or even four-digit number of dives in your log book, and friends call you a good and patient teacher? Then it’s time! Your time! 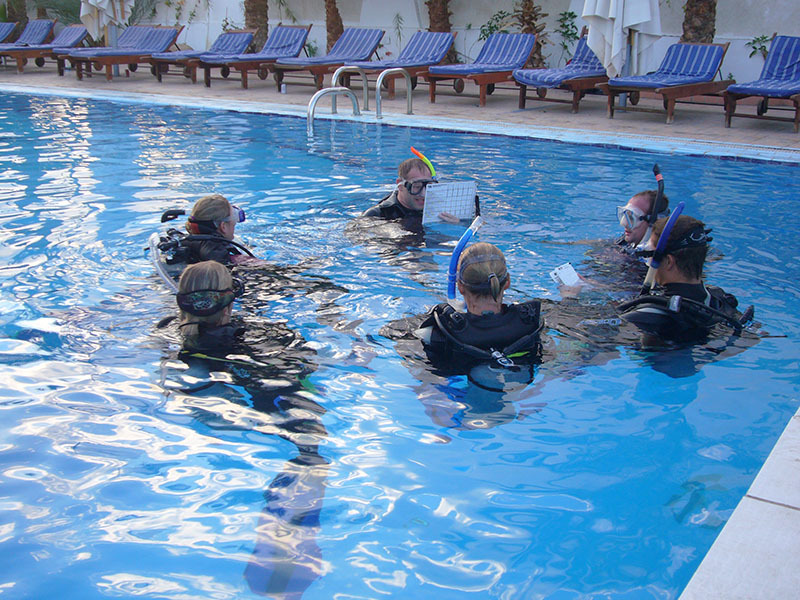 You should think about the next step and let Sunshine Divers teach you to become an instructor. This decision can change your life, because with this certification you can give your life a whole new perspective: If you want you can be an instructor. 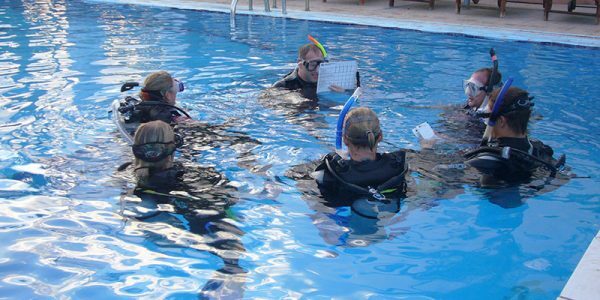 As a divemaster or dive instructor, you will be able to supervise dive activities in the future and become an active organizer of dive training around the world. You learn to lead groups and teach students. 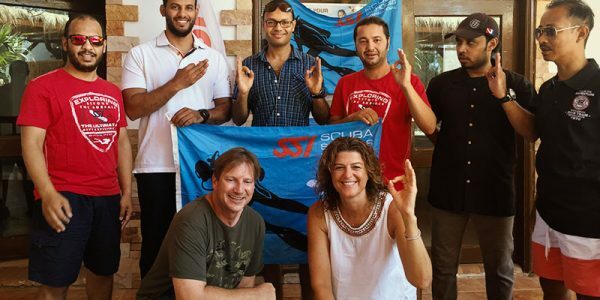 So if you have always wanted to share your knowledge and discover the world and its oceans, then start your trip here at Sharks Bay, where, as a qualified German diving school, we train you to be a divemaster or diving instructor competently and with great love to detail. 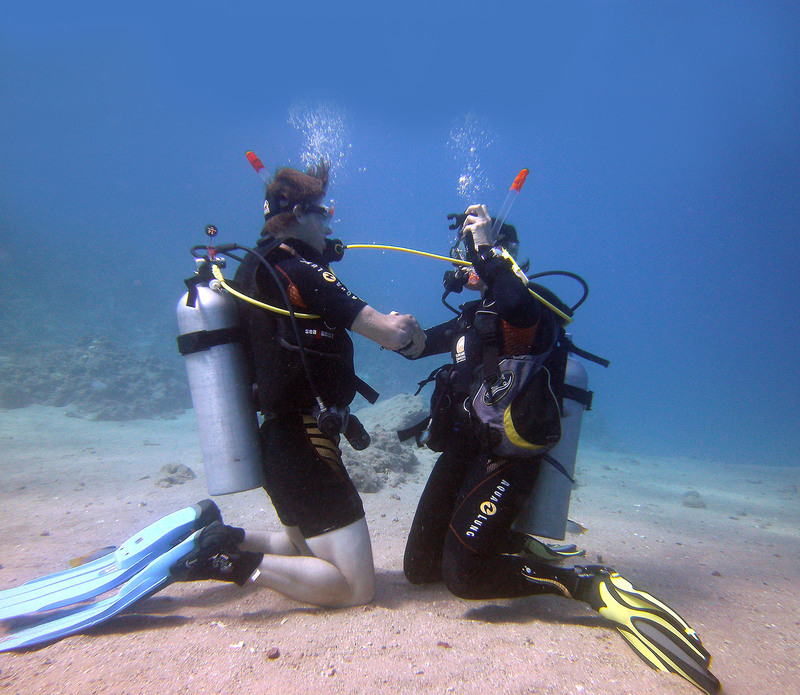 The prerequisite is that you are 18 years old and an Advanced Open Water Diver. 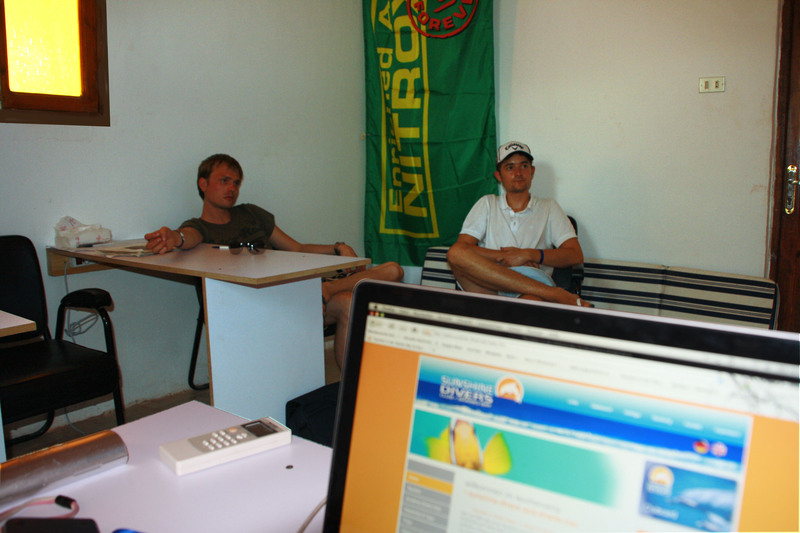 We are happy to look at certifications from other organizations and check your training level. For Divemaster, you should be a Rescue Diver and have proof of qualification in Emergency First Response Primary and Secondary Care. 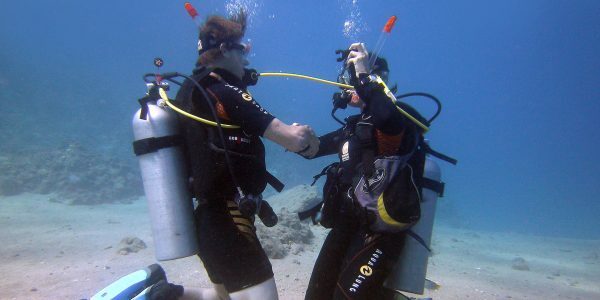 For the dive instructor training you need to be a divemaster. 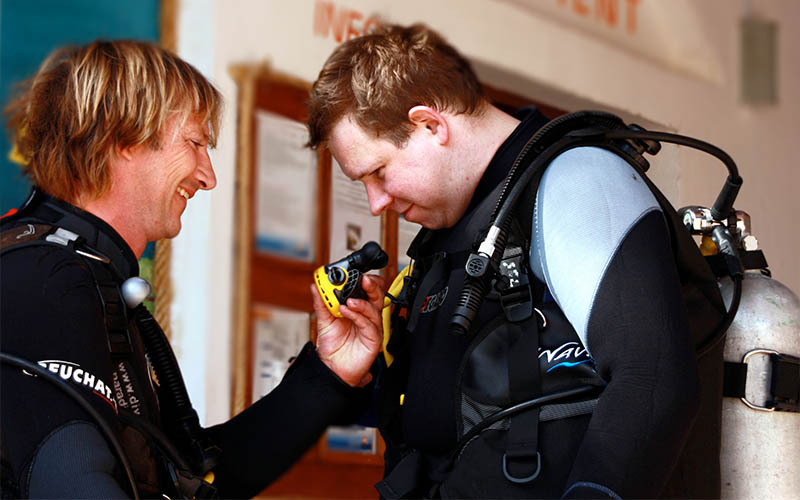 Complete your way into a new life with a medical check, to confirm that you are physically up to the challenges of a diving instructor.